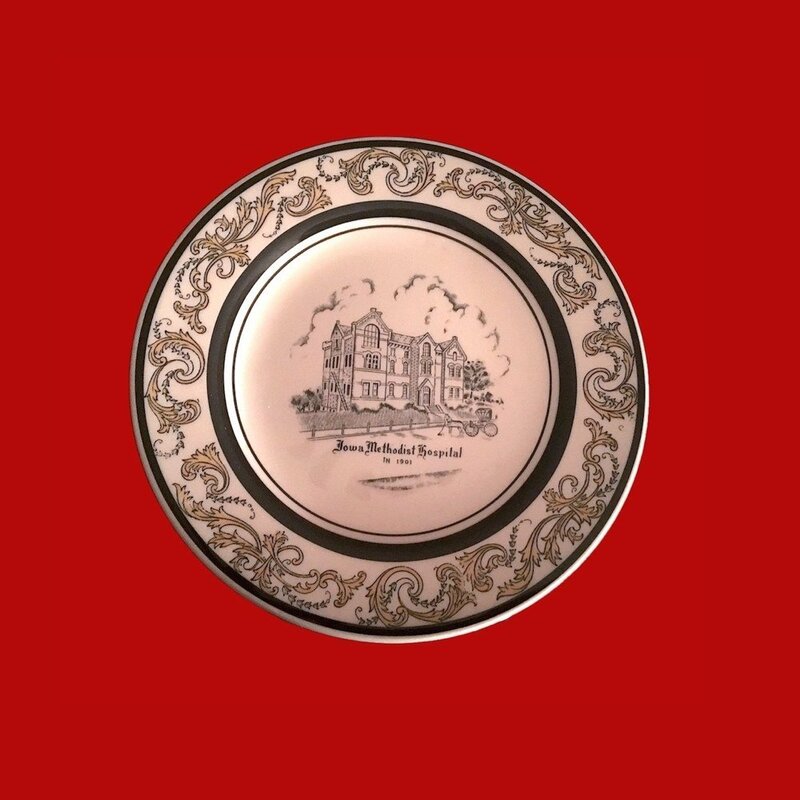 One of the most interesting things about this heavy restaurant ware plate by Meyer China is that it depicts the Iowa Methodist Hospital in1901 - even though there was no Iowa Methodist Hospital in 1901. Back then, it was called Deaconess; the new name didn't come until 1917. That didn't stop these plates, which were likely used in the cafeteria during the 1940's, from being made, and collectors of restaurantware, place plates, and hospital memorabilia are all glad they were.